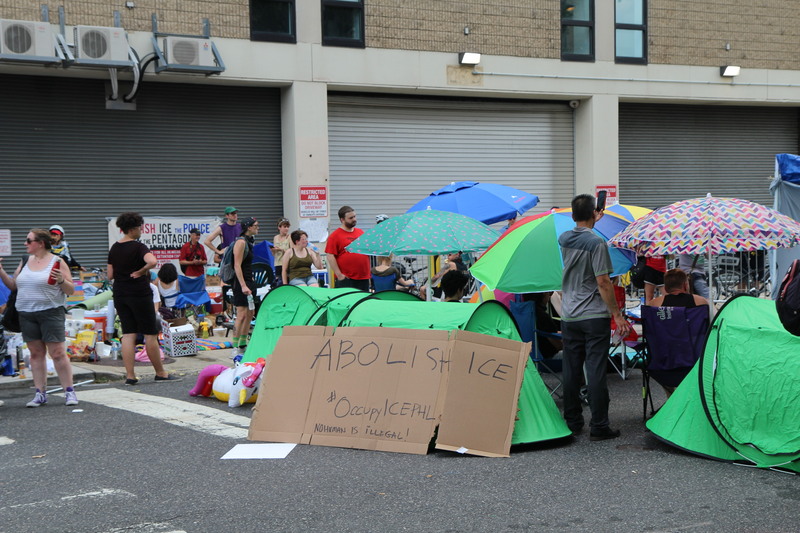 Occupy ICE Day 2: Come Support! A coalition of anti-ICE groups and individuals have been occupying the ICE office in Philly since yesterday (July 2nd) evening and they need your help! Several dozen protesters gather with umbrelas, signs, water, and other materials.